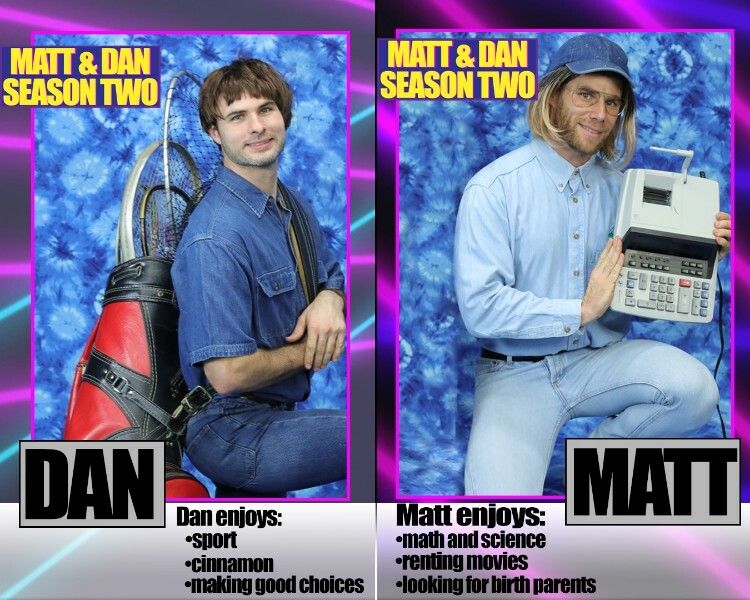 Crowdfunding for Another Hilarious Season of 'Matt & Dan' Has Begun! Crowdfunding for Another Hilarious Season of Matt & Dan Has Begun! 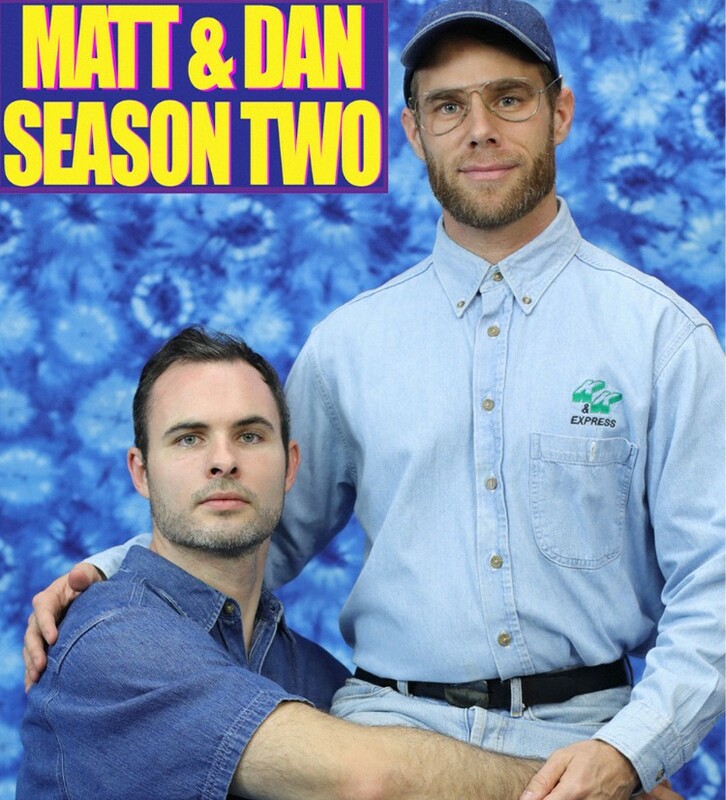 Matt & Dan fans can help make another funny AF season of the web series become a reality! After a successful first season, the hilarious AF, skit-based queer web series Matt & Dan (the brainchild of actors and friends Matt Wilkas and Daniel Vincent Gordh) is set to return for a brand new, 8-episode season! And to really kick things off, an incentive-packed crowdfunding campaign just launched today so that fans and supporters can help make Matt & Dan season 2 a reality! PRIDE caught up with Gordh to talk about what's in store for Matt & Dan, the success of the first season, and why it's important for him to get fans involved in the process of creating the show! PRIDE: What’s new for Matt & Dan? And what can fans expect to see this upcoming season? Daniel Gordh: As soon as we Matt and I finished out the first season, we immediately dove back into writing. 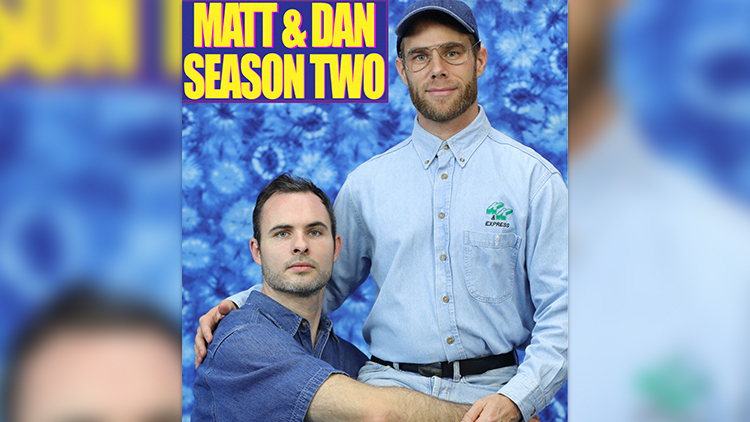 The thing that we both really wanted to do was expand our world, so with Matt and Dan season two, fans can not only expect more episodes, but also a whole lot of variety, bonus videos, lots of new and upsetting characters, and guest stars galore! What has the feedback from fans been like? We had such an incredible reaction to our first season. Matt and I both know it can be really hard to get people to see or engage with a new show, especially when you don’t have built-in viewership from being on a network or VOD service. But with only 6 full episodes our first season, we were able to get an incredible group of fans who stayed engaged throughout the entire season. As soon as we completed our first season, Matt and I both knew that we had to make another season of this show. What was it like screening the first season of Matt & Dan at all these cool, queer film festivals all over the country and the world? It’s been kind of crazy actually! It all started with the incredible Frameline Film Festival in San Fransisco (on my birthday! ), which was an absolutely amazing experience for us. And then they all started pouring in somehow! We’ve gotten into festivals all over the world, from New Mexico, to Barcelona, to Australia, to Germany. It’s truly incredibly gratifying for us to share our work with that kind of audience, because less than a year ago we were shooting them with whatever was left in our bank accounts. Crowdfunding helps fans and supporters feel like they are part of the creation of their fave shows. Why was it important for you all to let the fans get involved? I come from a proud tradition of shows fueled by fans. For those who know The Lizzie Bennet Diaries, that show was such an incredible lesson for me about engaging fans to help create your work. That show would not have existed if it weren’t for the incredible fans who helped make it what it was. The first season of Matt & Dan we were really dedicated to making our show as high-quality as we possibly could, even if we had to do it for nothing, despite having no guarantee anyone would watch it or even care—just because we had a vision we wanted to share with others. Afterwards we knew that we needed to give those new fans the opportunity to be our collaborators in creating more. Why was it important for you all to use Seed & Spark, a platform that is know for helping diverse filmmakers, to crowdfund? I am lucky enough to know Emily Best, the CEO of Seed & Spark, personally, and she is such a force of nature and just so incredibly passionate about helping foster diversity in the entertainment industry. Not only that, but Seed & Spark is also focused specifically on filmmakers, and provides incredible support to their filmmakers. We knew we wanted to work with a company who shared the same mission as us. The Matt & Dan season two Seed & Spark campaign is now live! Contribute to it here! Watch a hilarious commercial for the crowdfunding campaign (co-starring Abra Moore, Drew Droege, and Gus Kenworthy) in the video below! Catch up on Matt & Dan season one on the official YouTube channel, and make sure to follow the two of them on Instagram, @mwilkas and @manboynice!